The KDL-65W950B is the best of the best LED from Sony in 2014 without going into 4K territory. The difference between this one and the W850B below is the TRILUMINOUS display and the X-tended Dynamic Range for a boost in contrast. The TRILUMINOUS display is more important as color reproduction really benefits and look fantastic. As far as features go, the W950B has active 3D playback, the touchpad remote, and plenty of smart TV features. The speaker setup is quite good thanks to the Wedge design that allows for woofers to be placed in the cabinet as well. The 65-inch model starts at $2,800. The KDL-65W950B really steps up the picture quality when compared to the other LED TV models from Sony in 2014. The Truluminous display and X-tended Dynamic Range are the star features here and are the only thing to differentiate the picture. The X-reality Pro picture processing engine is standard for LED TVs this year and is the reason for rich and crisp images. 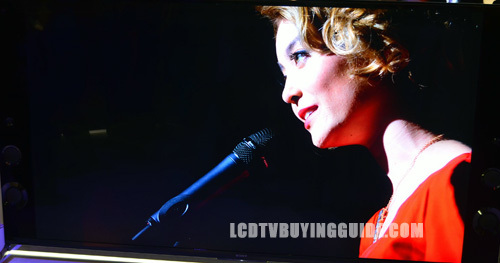 The color rendition is realistic and we don't see the 'pop' of over-saturation present in many LED TVs this year. The TRILUMINOUS display takes color reproduction to the next level by providing an even wider range of color. 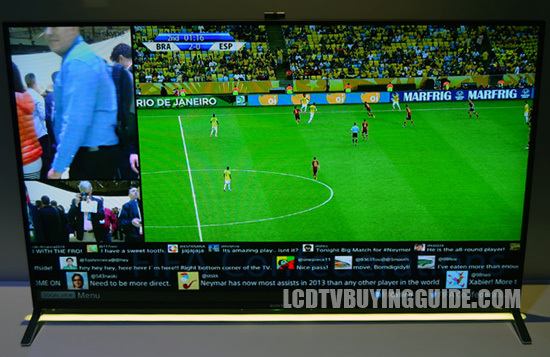 This makes for very accurate color rendition and some of the best seen on LED TVs this year. We noted that background noise and motion artifacts are kept at a minimun as well. The KDL-65W950B has an ambient light sensor included which automatically adjusts the TVs light output to in-room lighting. 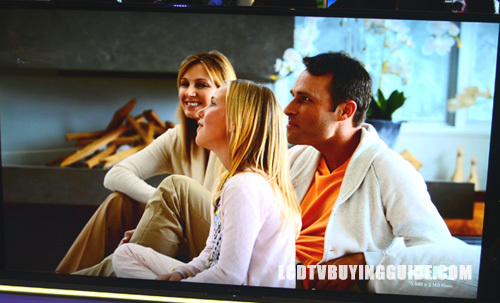 These days LED TVs use so little power we recommend leaving the feature turned off. Or rather, finding it and turning it off. The picture can turn dark on you before you know what happened. 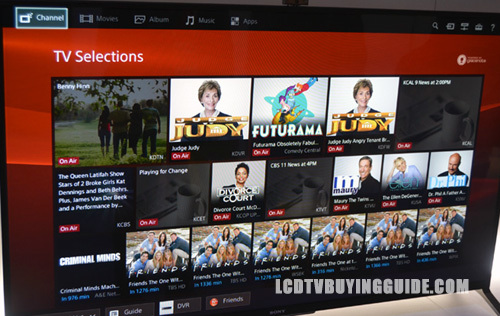 The KDL-65W950B design differs from the TVs lower in the 2014 Sony lineup. 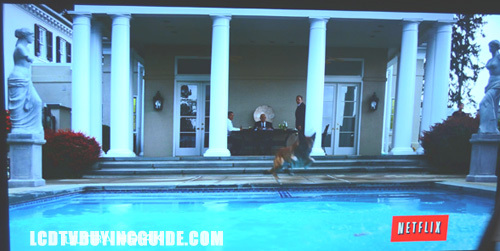 This one features the "Wedge" design. From the side, the base is wide and slopes in toward the top of the screen. The best part about this design is more room for speakers. Two woofers in addition to the two speakers can fit here. Standard wall mounts still work on the W950B as well. This also has the two legged stand we have been seeing so much of too. 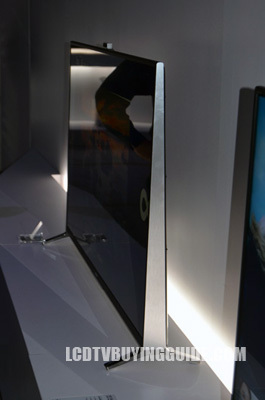 Sony really thought this one through and implemented multiple mounting locations on the bottom of the display to accomodate large or small TV stands. The black bezels are as thin as expected to be on a top tier TV and the deepest part of the cabinet is 3 3/4 inches. As far as value goes, the KDL-65W950B is pretty average. You get the reliability and picture quality associated with the Sony name and a standard feature set with strong passive3 3D viewing. Sound quality is a big plus here that the W950B has over the competition. The Sharp LC-70UQ17 sells for a similar price with some added future-proofing when it comes to native 4K signals and 5 extra inches of screen space, but picture quality is not as strong. The Samsung UN65H7150 has a similar feature set with a stout Smart TV platform for many hundreds less.